There was a time when Michael Grabner didn’t think an NHL future was in the cards. Over 200 big-league games later, the Austrian is thankful he found his way to the sport’s biggest stage. His mother introduced him to hockey when he was five, encouraging him to give the game a try. And that’s just what he did. It didn’t take long for Grabner to fall in love with the sport. He’d spend several hours a week at the rink in Villach, a picturesque city that’s home to roughly 60,000 people. Ten years after he first laced up his skates, Grabner joined his hometown EC VSV junior club, skating in 36 games before making the jump to the men’s team in 2003-04. At the age of 17, Grabner decided his best shot at landing an NHL career was to head to North America. He suited up in the Western Hockey League (WHL) as a member of the Spokane Chiefs. It proved to be the perfect blueprint for his goal. In 2006, in his second campaign with the Chiefs, Grabner was selected 14th overall by the Vancouver Canucks. Grabner’s NHL career hasn’t been uneventful. He was traded to Florida during the 2010 Entry Draft. One hundred days later, he was placed on waivers. 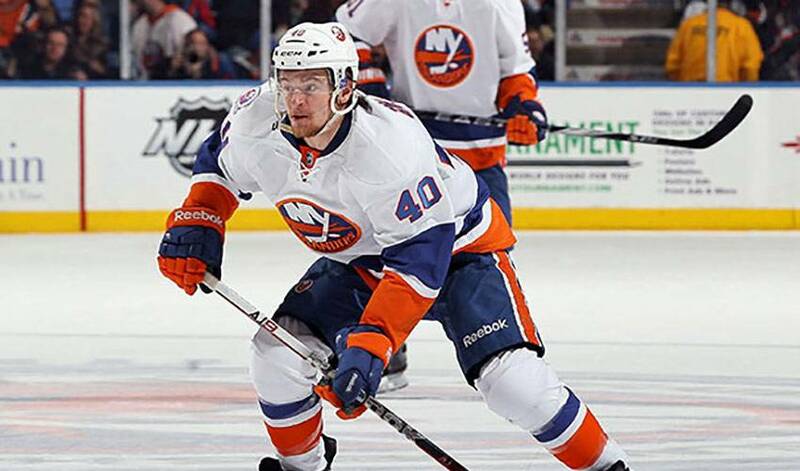 Forty-eight hours after, he was claimed off waivers by the New York Islanders. Despite the drama, Grabner responded by scoring 34 goals in 76 games, copping top honours as the fastest skater at the 2011 All-Star Game SuperSkills Competition and being named as a 2011 finalist for the Calder Trophy as NHL rookie of the year. After 20 goals in 2011-12, Grabner recorded 16 tallies in just 45 games in 2012-13. “It’s crazy to see I’ve played over 200 (219) NHL games,” said Grabner. “You think about how everything has gone by so quickly. My first ever pre-season game, I’m out on the ice playing against Chris Pronger, Scott Niedermayer, Ryan Getzlaf, Corey Perry and Teemu Selanne. Does that mean there could be another Grabner playing in the NHL one day? Michael Grabner would certainly know all about that. If you give New York Rangers right wing Michael Grabner an inch of inspiration he will take a mile. Daily episodes capture behind the scenes look at five top NHL stars.